As a former bride of an Allaire Village Wedding, it is always a joy to go back to this place of love and photograph weddings at the Allaire Village Chapel! 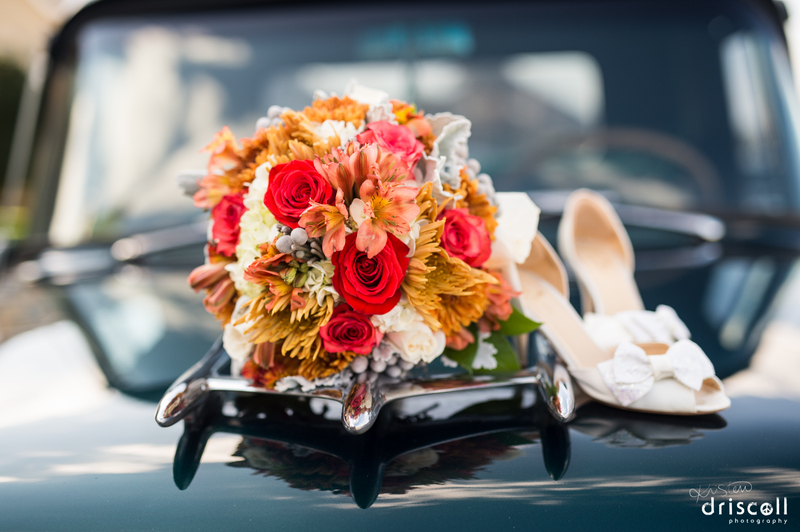 Not only is it a beautiful, rustic, cozy place to get married – the wedding coordinator, Kathy, is wonderful and will go above and beyond to see that your ceremony is perfect! I really enjoyed Adriana and Danny’s Wedding at Allaire. I loved their orange and green fall wedding colors. The groom and groomsmen all wore blue suits and looked so sharp! 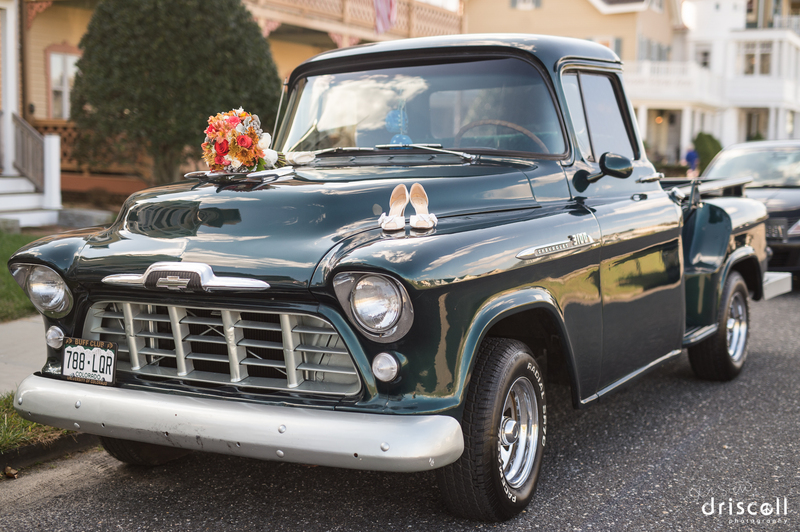 Adriana’s Dad’s truck was a very important aspect of their wedding day : He passed away years ago, and this was just one of the ways he was there in spirit, for sure. 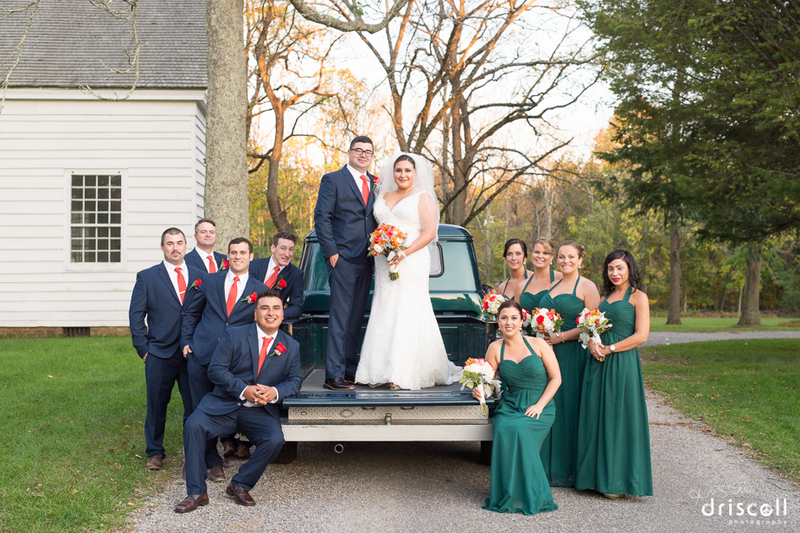 I love how the bridesmaids dresses all matched this beautiful Chevrolet 3100 Truck. This is just a preview – stay tuned for more images from this incredible day! Bonus! Here are some pre ceremony shots! I love taking photos of details during getting ready time! 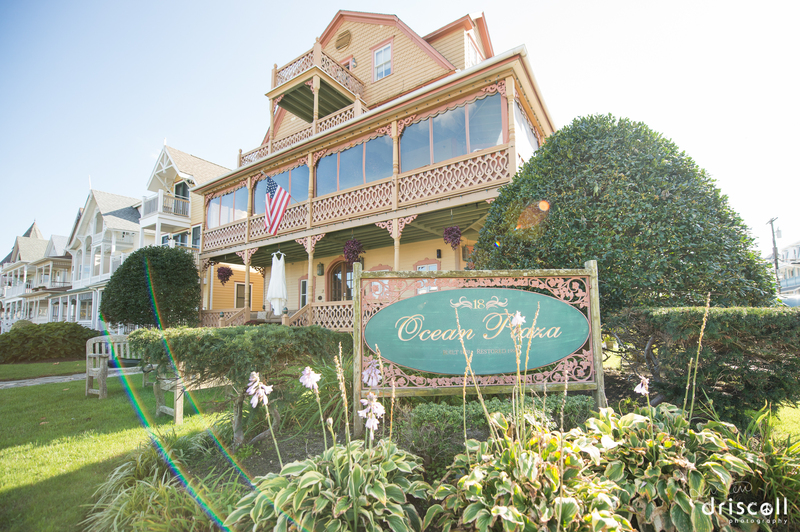 These took place in ocean Grove at The Ocean Plaza – a LOVELY B&B (bed and breakfast) in town that I would highly recommend, located a block from the ocean, and just 10 minutes from Allaire State Park! Adriana and Danny’s Wedding Reception (photos coming soon) was at Watermark (where I’ve photographed many weddings – which I’ve loved!) in Asbury Park, which was walking distance from the Ocean Plaza. What a romantic and fun way to transition from wedding reception to wedding night – a moonlit stroll! Feel free to hit “like” below to let us know you were here! Follow me on Facebook at Kristen Driscoll Photography!